RIYADH, SAUDI ARABIA—Former Toronto FC striker Sebastian Giovinco scored in his debut for Al-Hilal FC as the Saudi champion beat Al-Qadsiah 4-1 on Tuesday in Saudi Pro League play. Saudi internationals Nawaf Shaker Al Abed and Ali Hadi Al-Bulaihi and French international Bafetimbi Gomis also scored for Al-Hilal. Toronto sold the disgruntled Italian international to Al-Hilal on Jan. 31 after a contract impasse. A source pegged the transfer free at $ 2 million (U.S.) to $ 3 million. 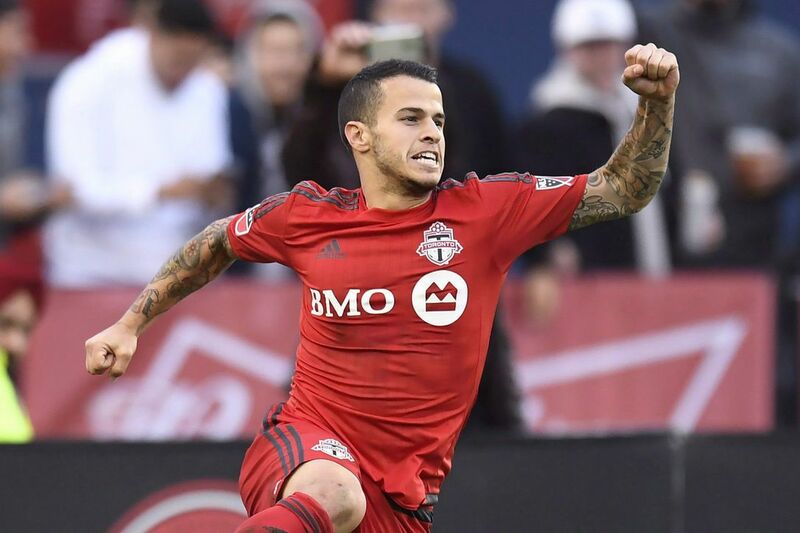 In four seasons with Toronto, Giovinco had 68 goals and 52 assists in 114 regular-season games (111 starts). He won MVP honours in his debut 2015 season, when he was directly involved in 65 per cent of Toronto’s 58 goals with 22 goals and 16 assists. A smiling Giovinco was introduced to his new fans in Saudi Arabia a week ago when he took to the field at halftime of Al-Hilal’s 4-1 win over Al-Fateh in Saudi league play Monday night.